As usual, have to agree with NIrish. As I have mentioned before, I have a soft spot in my heart for YaYa bar. 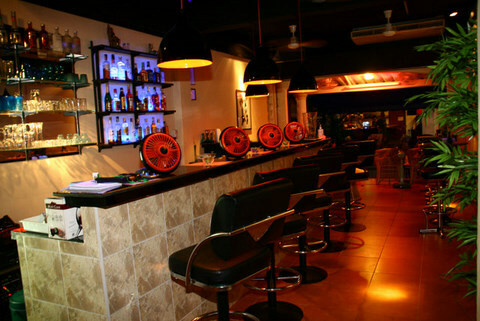 It was the first bar I visited in Pattaya. I like having a chat with Ya on each trip. He lived in the USA for a bit and has some interesting perspectives. I wasn't aware Ton was still around. I didn't see him on my last trip. It may be the newer one as it has a remembrance of Ae, as well as a listing for the bar as "for sale". Yaya may be a good bar but am reluctant to try it again. Last night all the staff and Thai customers were gathered around a bottle of whiskey and a hookah basically hogging all the front row seating. Too me it seemed a farang would be an "outsider". I looked at that site and noticed May was Mojito Cocktail of the Month for 70 Baht but that was 2011 ! Yes. I made it in 2011 at the time when I was in Pattaya at Songkran'11 fest. I made it just for fun after chat with Barry about websites and how modern (in 2011) website should looks like. And also I made 2 pics and wrote posts about cocktail of the month Late Ya told what it is "too complicate" to work with wordpress and I left it "as is". the night. They still offer cappuccino as well as the usual drinks. Bas is a nice guy and I wish him well. Farang are of course always welcome in Ya Ya Bar but you're right if a crowd of Thai's sit around the front it can look like a "closed shop", I mentioned this to Bas one evening in conversation and he's aware of it but he also was very clear in reminding me that they also have Thai customers and it's not a case of just him and his mates sitting bored stringing out their drinks all night waiting for the next farang to come along and I hope he doesn't mind me saying this but he did point out that typical Thai customer/s are great business for him as in his own words when Thai's go out to party amongst themselves money is a non issue and they'll spend just whatever and maybe between 5000 - 10,000 baht on a night out ( with a lot of that going into his till ) without a second thought, whereas maybe he'll bunch them up to free up some space for the one lone one farang walking along the Soi who will then come in and totally ignore everyone else ( perhaps to be fair as maybe they don't "feel" welcome) and they'll proceed to nurse one or maybe two beers for the next two hours whilst complaining that the beers not 99 baht. So as a business man I can see his dilemma and I think in general he does get the balance about right and I've never seen him not go out of his way to make EVERY customer feel welcome even if it means him leaving his "profitable" company for a while and I've had many enjoyable nights there with him and the boys and some other passing farang ( and those very same Thai friends of his who joined us or me them). So I guess the thing is us remembering that we farang aren't some bars ONLY source of custom anymore on any given night and actually much to my own surprise and amazement on my last trip a go go boy friend of mine called me to say he was out with 3 mates and did I want to join, me of course expecting the farang pays all rule to kick in said no thanks and when he realised what I was thinking said NO ! we not working, come out and join us just for fun, so I did and sat in delightful shock as over the course of the night each of the boys paid their way and bought their rounds - and bottle of whiskey ( as did I of course) but all totally equally and shared in turn AND as the bar was aware the Thai guys were paying we got everything at a MUCH lower price then if I'd of been paying too ( including my rounds I'm pleased to say) so when we see Thai guys sitting about drinking there's a fair chance they're out of the rip just like we are, but just spending a lot more money whilst doing so perhaps ! But mainly I'm with Anon on this one as if there's already a table full of Thai guys all drinking then just pull up and chair close to them, say sawatdee and smile and sit back and and see where the night takes you :-). I don't see why a customer should feel obligated to pull up a chair close to a group in a beer bar just to get decent service. I'm not out to join someone else's party. Maybe I just want a drink or two before moving on. I don't expect fawning attention but I do expect decent service. On my next visit to Thailand I will check out he scene at Yaya and see if it has changed. I am just looking for a drink and helping local economy by visiting different bars but not about to crash a private party or be the only farang in the bar. Of course there are worse places such as Double Shot! The Yaya sign is gone. No new sign with new name as of a couple of days ago. Bar has been closed some nights. If I recall correctly, it looked like yaya is no more. It looked like they expanded the next-door bar by tearing down the dividing wall and have incorporated yaya into their space. I didn't stop in this trip, so no idea if Bas is still around, who is running things, etc. 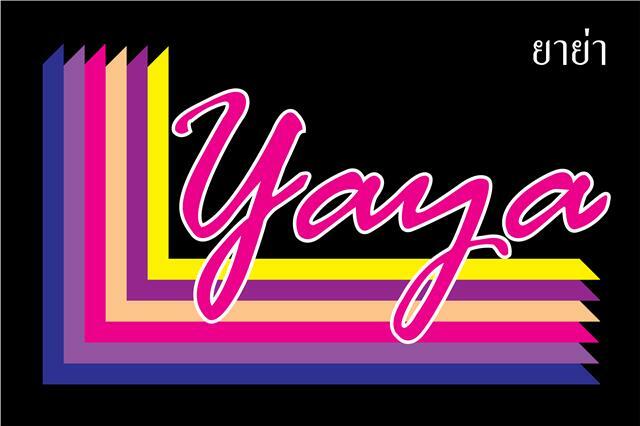 Unfortunately simply due to the lack of custom and / or profit YAYA bar has now closed and the owner has gone off to do other things now. I can understand why there was a lack of customers. down the Soi moved in. None of the baby faced staff from Leks remain and bar is no longer sleazy, at least from a glance. Old Crazy Pub still shuttered and rumours of new businesses there also proved false. Bar is now called One. Any reviews for this bar? usually very popular with farangs.